1- First apply the mid-tone green shade on nails. Here I have applied the street wear nail polish Emerald Eyes. 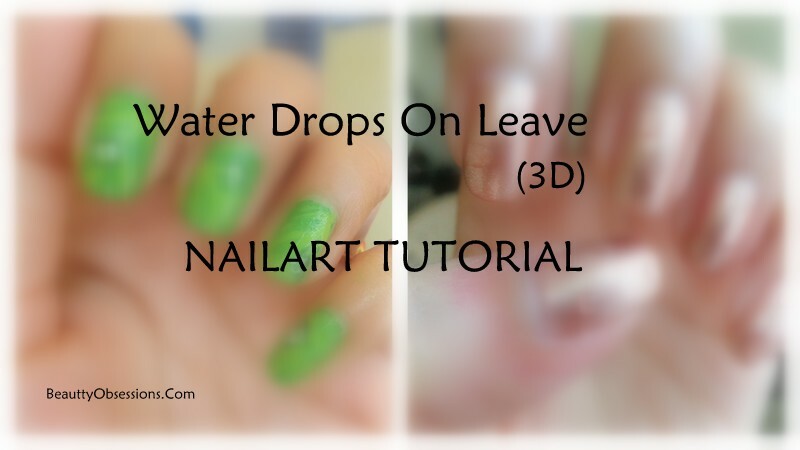 2- Then take the lighter shade of green shade on a sponge and dab over the nails just to bring the texture of the leave... Here I have applied Revlon Sassy . 3- Then again take the lighter shade of green (the Revlon one here) to draw the lines on leave... And wait for some minutes to dry out completely..
Do share your feed back below..
Snighda they look super amazing.It will look so cool in this monsoon season.